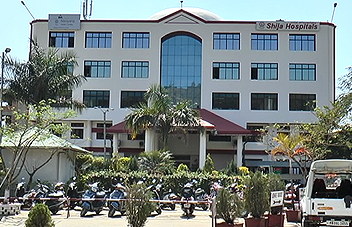 Shija Hospitals & Research Institute Pvt.Ltd. offer DNB courses in Ophthalmology, Medicine, Surgery, Anaesthesia and Plastic Surgery. Diplomate of National Board (DNB) is the title awarded by the National Board of Examinations (NBE), an autonomous academic body under the Ministry of Health and Family Welfare, Government of India to candidates who successfully complete their postgraduate or postdoctoral medical education under it. The degrees are recognised by the Government of India and a Gazette order is published for the same. Also, the Ministry of Health and Family Welfare has issued notification mentioning that DNB should always be considered equivalent to MD/MS/DM/MCh. The Medical Council of India (MCI) has recognised the P.G. Medical Diplomate National Board (DNB) course on a par with other postgraduate degrees like M.D., M.S., D.M. and M.Ch. This has been done by an amendment to the Medical Council Act, 1956. The name of the degree awarded by the National Board of Examinations is called "Diplomate of National Board" (DNB). The list of recognised qualifications awarded by the Board in various broad and super specialties as approved by the Government of India are included in the first schedule of the Indian Medical Council Act, 1956. As a general rule, failure rate for final year DNB exams are higher than their MD or MS counterparts. This is especially true for General Surgery, Internal Medicine, Anaesthesiology, Obstetrics & Gynecology, Pediatrics, Pathology and Family Medicine. The DNB qualifications awarded by the National Board of Examinations have been equated with postgraduate and postdoctoral qualifications awarded by other Indian universities for all purposes, including appointment to teaching posts.